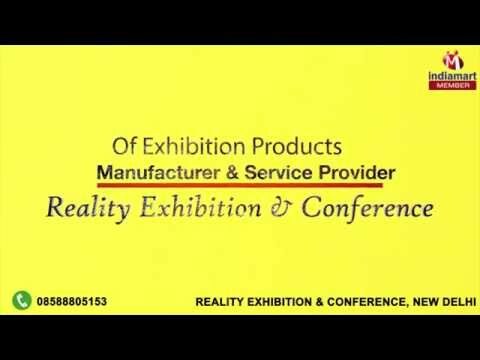 Reality Exhibition & Conference are a highly recognized and trustworthy organization involved in offered service of Exhibition Products, since our establishment in the year of 2009. Service offered by us consists of highly recommended Exhibition Stall, Exhibition Booth & Stand. We are also rendering highly effective Exhibition Management Services for our customers. Our proficiency also enables us to offer desired solutions for Booth & Stall Fabrication Services, Event Management Services and Exhibition Stall Designing Services. Our professionals work in close coordination and offer complete solutions in sync with the clients'' detailed preferences and purpose of organizing the event. Utmost laid is given to time and budget constraints of our valued clients. Owing to our stress-free and hassle-free business operations, we have organized many successful events for our clients spread across the nation.